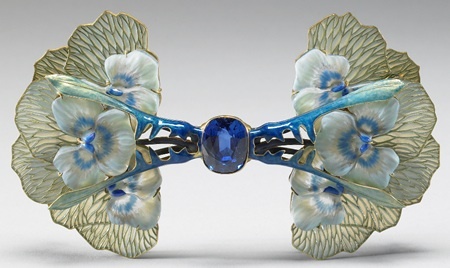 Lalique Jewelry At The Nelson-Atkins Museum World’s Fair Exhibition: Three Rene Lalique Jewels On Display – Great R. Lalique! 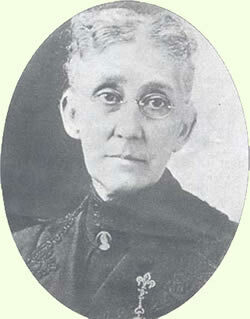 In 1911, former Kentucky and Missouri schoolteacher Mary McAfee Atkins died at the age of 75. When her husband died 25 years earlier in 1886, he had left here about $250,000, which by the time of her death had become $1,000,000 (this at a time when $1,000,000 was a lot of money of course). One notable event during the period when Mrs. Atkins was a widow, and just a country mile from her Kansas City, Missouri home, was the 1904 Louisiana Purchase Exposition in St. Louis Missouri. A major World’s Fair (how could it be a World’s Fair and not be major is a good question), it was attended by the likes of Teddy Roosevelt, Geronimo…yes THE Geronimo, Henri Poincare, T.S. Eliot, Helen Keller, and too many more people and companies to mention. 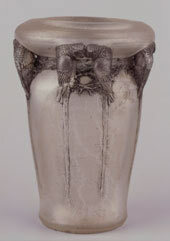 Well except one of course, because Rene Lalique objects were exhibited and sold in St. Louis. 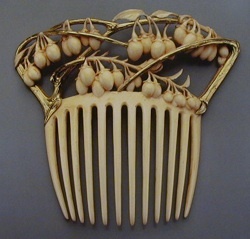 And it was there that Henry Walters, the eldest son of William Thompson Walters, a wealthy Baltimore (by way of Liverpool Pennsylvania) liquor trader and railroad man, would see and purchase some great Lalique Jewelry on exhibit at the St. Louis Exposition. 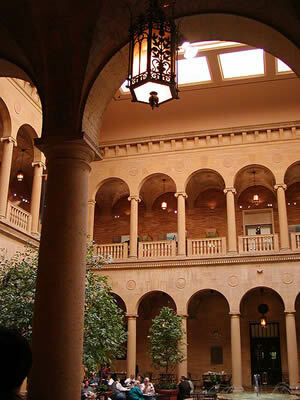 Walters would die in 1931, leaving his palazzo like art house and contents to the City of Baltimore. It remains today, over 75 years after its opening in 1934, as The Walters Art Museum. And it has about a dozen great pieces of R. Lalique in its 35,000 object collection; a collection that coincidentally contains about the same number of objects as the Museum which is the main point of our story. A story we shall now resume :). In 1915, four years after the death Mrs. Atkins, William Rockhill Nelson, the man who founded the Kansas City Star Newspaper died. He left the bulk of his large estate in a trust, the income to be used for the purchase of artworks such as paintings, sculptures, books, tapestries, and engravings “…for the delectation** and enjoyment of the public generally.” The estates of a couple other Nelson family members and Mr. Nelson’s lawyer also left additional funds for the same purpose. These Atkins and Nelson bequests were unrelated and each estate had its own plans. So it would be some time before events would take their course and these two different bequests would join purpose and coalesce into something tangible for an even greater public good. 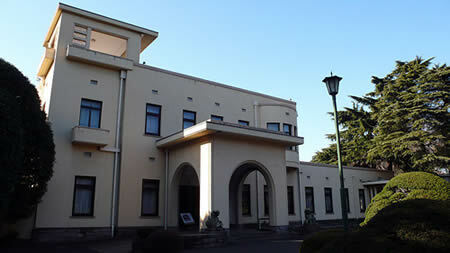 But coalesce they did, and with trustees for the schoolteacher, the publisher, and the local government working together, in December 1933, at the height of the great depression, on the grounds of Nelson’s former mansion, the new museum was opened to the public. The cost was a striking 2.75 million dollars. The whole plan started off with land and money, but without much art. But with wildly depressed prices for fantastic artwork due to the depression, the new museum was quickly able to create a world-class collection across many fields. Coincidently, the museum architecture was modeled after the classic design of the Cleveland Museum of Art, which recently put on its own World’s Fair Exhibition around the objects of Lalique, Tiffany, and Faberge from the Paris Exposition of 1900. Fast forwarding in our walk down Midwestern art history lane, in the early part of our new century, the Museum space was expanded for the first time, to nearly 400,000 square feet with the addition of about 165,000 square feet in the new Bloch Building. The Bloch Building was named after the Chairman of the Board of Trustees of the Nelson-Atkins Museum, Henry Bloch and his wife Marion; Henry being the H in H & R Bloch. And it is at the Nelson-Atkins Museum Of Art in Kansas City Missouri, born of the generous mid-western philanthropic and charitable mindset that is a hallmark of the American character, as part of their amazing and creative exhibition “Inventing the Modern World: Decorative Arts at the World’s Fairs, 1851–1939” that our story comes together. This exhibition makes the point that all these various World’s Fairs were the embodiment of the then leading design and artistic expression as it stood around the globe. Companies and countries brought their best, and it would be shown in a milieu of the best, newest, most innovative products from dozens of countries and hundreds of companies. These Fairs were more than just big car boot sales looking for buyers. They developed into an expression of the state of art, design, and technology of the day. In the time before routine international travel, before computers and the worldwide web, before the television, and in many cases before cars, planes, telephones, cameras, radios and even electric lights, these Fairs were the place you could go to see what would astound you in a time when the world was a larger, much more unfamiliar, and stranger place. It’s only natural that among the makers who would not shy away, but would savor the chance to bring the a-game*** to such a gathering, would be the great Rene Lalique. Be it Paris in 1900 or 1925, St. Louis in 1904, or anywhere else on the globe that the leading artistic endeavors of the day would meet and be compared side by side, Rene Lalique was an anxious participant. And it was that country mile from the schoolteacher and the publisher, a perfect place for the great Lalique to show his goods half a world away from home, that Henry Walters bought, retained, and donated for the public delectation, two of the three pieces of phenomenal Lalique Jewelry that have once again made the trip back to where they first met the American public eye, in Missouri. And that fortuitous sale back in 1904 could not have occurred in a more apt setting. For Missouri is known throughout America as the “Show Me” state, an expression attributed**** to Missouri Congressman Villard Vandiver who in 1899 is reported to have said in a speech, “I come from a state that raises corn and cotton and cockleburs and Democrats, and frothy eloquence neither convinces nor satisfies me. I am from Missouri. 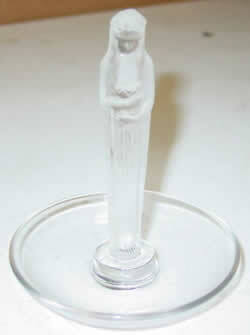 You have got to show me.” Just the place for Rene Lalique. 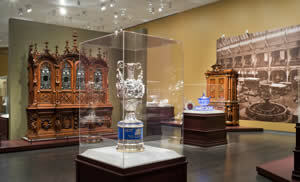 The Nelson-Atkins Inventing The Modern World Exhibition, bringing in objects from so many World’s Fairs held over nearly 90 years, allows a visitor to see the artistic and technological progression as time moved through the industrial revolution and the age of invention. And it allows viewing each Fair and its objects in the context of the flow of history, not just for design and industry, but culturally as well. Because wrapped up in each object on display is the ability, the talent, the aspirations of the artist, and the state of the industry and the cultures from which they sprang. 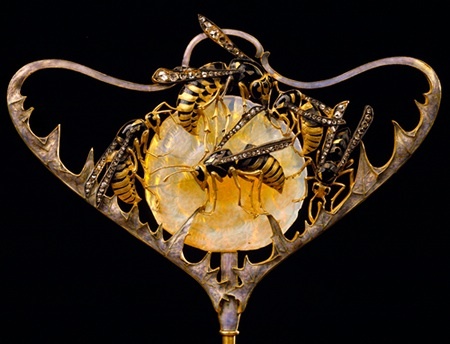 In addition to the wonderful Pansy Brooch and Grape Necklace from The Walters, is the amazing Wasps Stickpin exhibited at the Exposition Universelle de Paris in 1900. 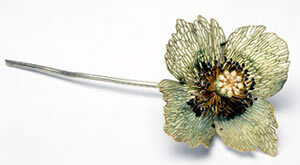 This stickpin has been lent by the Design Museum in Copenhagen Denmark. 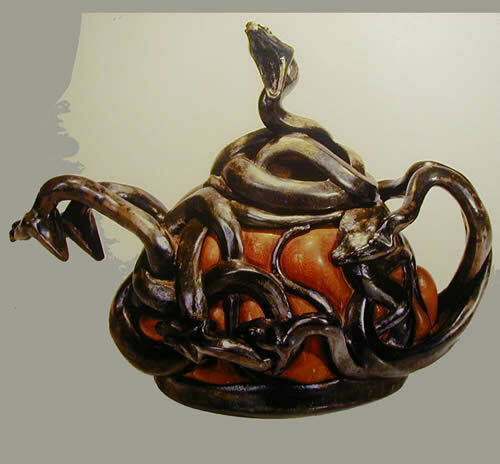 All three objects are stunning in their overall artistic concept, presentation and detail. And all three are trademark Rene Lalique; natural world motifs magnificently executed using materials for what they bring to the artistic nature of the project, and not just creating holders for valuable gems. 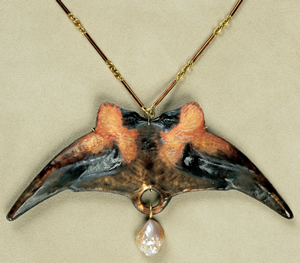 Note that each of the three Lalique Jewels is documented in the seminal work Rene Lalique Schmuck und Objets d’art 1890 – 1910 by Sigrid Barten, which is available for purchase in our Library. 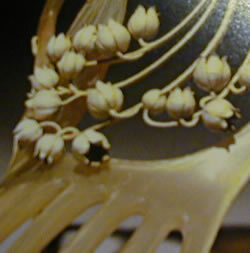 The Grapes Necklace is Object 346 and can be found on Page 246. 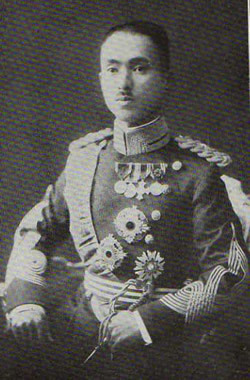 The Wasps Stickpin is Object 1400 on Page 478, and the Pansy Brooch is Object 1061 on Pages 414-415. 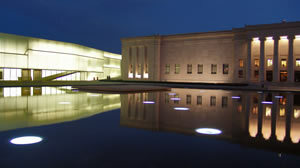 The Nelson-Atkins is open Wednesdays 10 to 4, Thursdays and Fridays from 10 to 9, Saturdays 10 to 5, and Sundays Noon to 5. You know what we said earlier about the mid-western mindset? Admission is free. 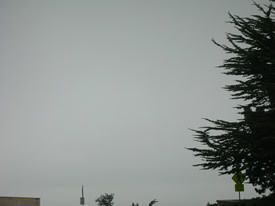 While you’re there, you might want to check out the other stuff they have as well :). Visit their website or call them at 816-561-4000 for more information. 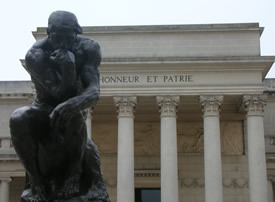 The Exhibition will be at the Nelson-Atkins through August 12th, 2012. 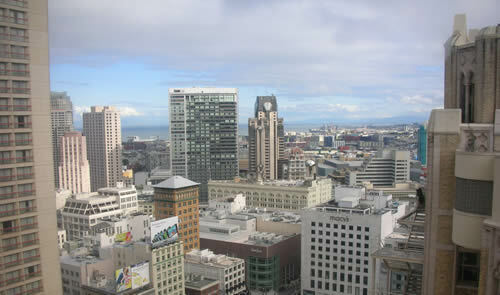 It will then move to the Carnegie Museum of Art in Pittsburgh for the period October 13th, 2012 to February 24, 2013. 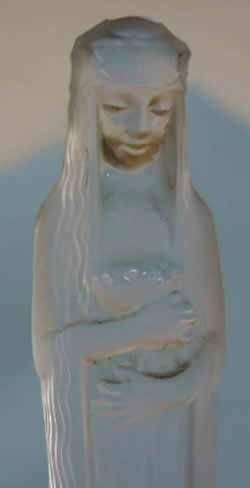 On April 14, 2013 it will open at the New Orleans Museum of Art and remain there until August 4, 2013. It will then move to its final stop at The Mint Museum in Charlotte, North Carolina from September 21, 2013 to January 19th, 2014. 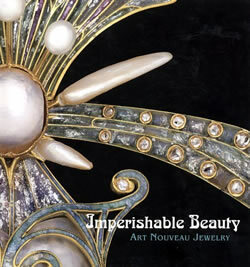 You can also visit the R.Lalique Jewelry section of the Rene Lalique Biography here at RLalique.com, where you will find links to all the great jewelry resources on the site. 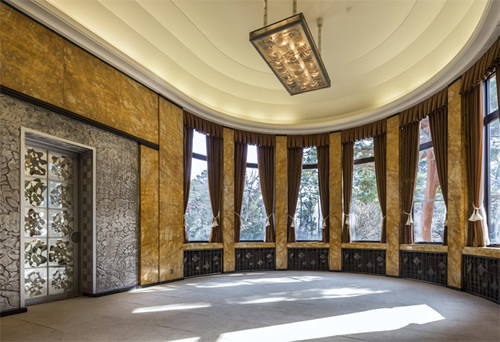 And visit the Lalique Museum page for a listing and links to over 80 different museums worldwide that have works of Rene Lalique in their collections. 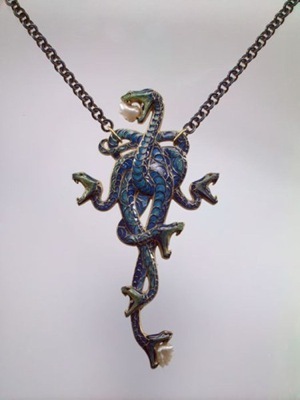 This list includes the Nelson-Atkins Museum of Art as their collection contains a great looking black glass Lezards et Bluets Vase and a Sauterelles Vase, The Walters Art Museum, The Design Museum Denmark in Copenhagen, the Carnegie Museum of Art, and the New Orleans Art Museum. ** Delectation means enjoyment or pleasure. So a food that is good might be called delectable, which would be pleasing or delicious. If it’s really good, it could be delectacious, but we’re not sure if that is a real word or not. 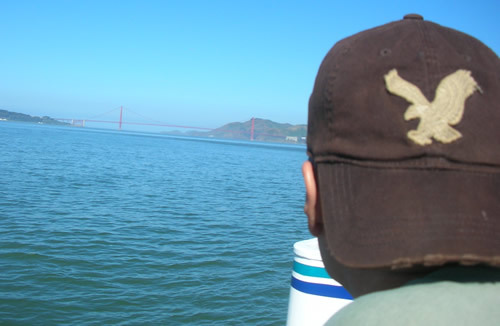 *** “a-game” is an American expression which means to bring your best. **** “show me” as the watchword for Missouri has other claimed origins, none this compelling. Mrs. Atkins photo from Mr. Denardo. Three inside photos of the Exhibition by Bob Greenspan. Nearly 900 years ago around the middle of the 12th century, the first walls were built for a compound that has survived nearly a millenium. About 200 years after these early walls appeared, the first stone bell tower was built on the site. There is an amazing amount of history at this location, including the construction of many cathedrals (all Russian Tsars were crowned in the 15th century Cathedral of the Assumption), the occupation and attempted destruction by Napoleon in 1812, and of course, the housing of the offices of the various governments in charge of the general and sometimes much wider area. 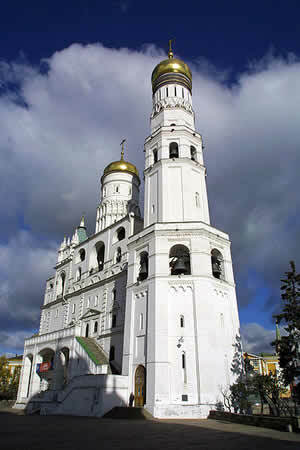 But our interests focus beginning in the early 1500’s when the Ivan the Great Bell Tower was built. The bell tower was later raised, around 1600, to it’s current height of 266 feet, and next to it sits the giant (200 ton) Tsar Bell, said to be the largest bell in the world. The tower also is supposed to mark the geographic center of Moscow and it contains over 20 bells. 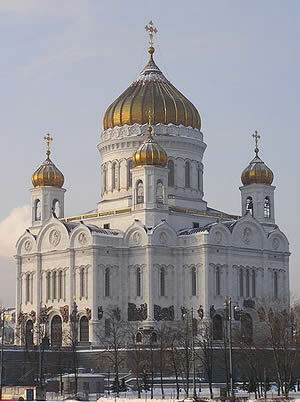 Until the mid 1800’s brought the construction of the Christ the Savior Cathedral, which was demolished by Stalin in 1931 and then re-built in the 1990’s (see the recent last photo below), no building in Moscow was taller than the Great Bell Tower, and until around 1917, no other building in Moscow was allowed to be built higher than the Great Bell Tower. A few decades after the Great Bell Tower was built, during the period of roughly 1530 to 1550, a church was built next to it. 150 years after that, the church was converted into an Assumption Belfry, and later the first floor of that Belfry was transformed into a museum exhibition hall. And it is there, where 200 years ago one Frenchman wrecked havoc not just on the citizens of Moscow, but on this site generally, including the burning of part of the Ivan the Great Bell Tower, that another Frenchman will be honored. For in September, in the church turned Belfry turned exhibition hall in the shadow of the Ivan the Great Bell Tower, the Kremlin presents an exhibition devoted solely to the works of another historical Great; the Great Rene Lalique! 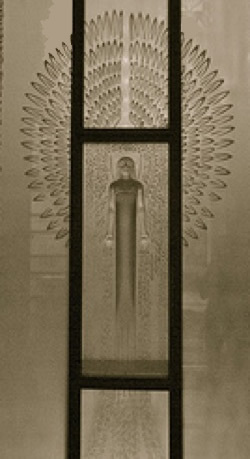 The exhibition: Rene Lalique and His Art, will commence September 21, 2010, and run until January 9th, 2011. 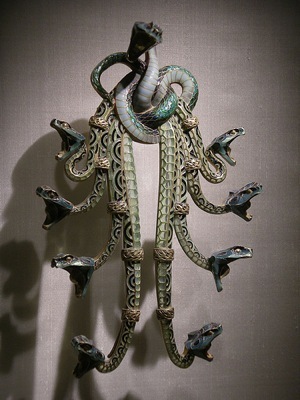 Lenders to this exhibition include the Calouste Gulbenkian Museum in Lisbon Portugal; the Musée des Arts Décoratifs in Paris France; the Lalique Museum in Hakone Japan; and the New York Metropolitan Museum of Art in the United States. Yelena Gagarina, in charge of Kremlin museums, related at a press conference: In the fall, the Kremlin will host a collection of art nouveau jewelry designed by Rene Lalique. It’s going to be a very beautiful exhibition but also a complicated one. We are bringing to Moscow many great and unique items including from Portugal, Paris, Japan, and New York. 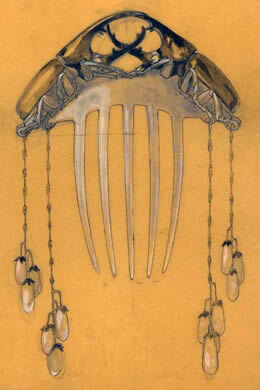 I hope visitors will appreciate Lalique’s sketches and his fantastic jewelry skills. His work does not boast a large amount of valuable gem stones or rich materials but they are very interesting in terms of design. 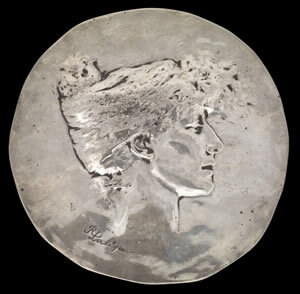 All these contributing museums, and near 60 others that have Rene Lalique works in their collections, are listed on the Lalique Museum page at RLalique.com, where you can access links to their websites. 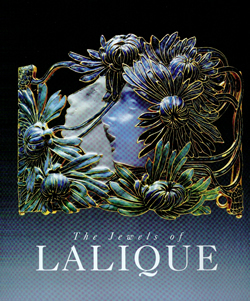 And in the jewelry section of the biography of Rene Lalique, you can access all the resources at RLalique.com related to Lalique Jewelry. And finally, to discover all Rene Lalique exhibition information at RLalique.com, both current and historical, check out the Lalique Exhibition section of the Lalique bio. We will bring you more news and details about this great upcoming exhibition when it becomes available. 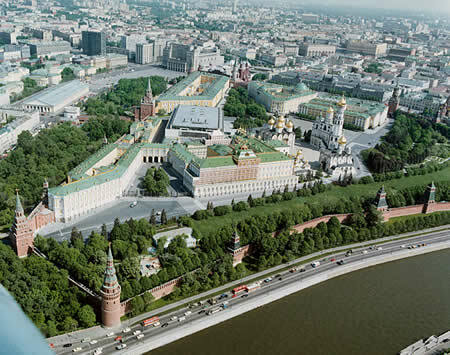 Photos: The first photo above is an aerial view of the Kremlin complex, where on the right side of the photo you can see the Assumption Belfry next to the Ivan the Great Bell Tower. The second photo shows the Ivan the Great Bell Tower in the foreground, and behind and to the left the Assumption Belfry. Both photos are courtesy of the Kremlin and we appreciate their permission to use them! 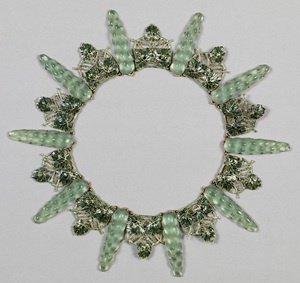 Rene Lalique’s jewelry and all his original works have created a great public interest around the globe. As a result, every day mail pours into RLalique.com World Headquarters with people interested in everything from R Lalique Identification or authentication, to wanting to purchase something or track down a piece they have been looking for, or to talk about the Rene Lalique Sellers Services we offer, or wanting some Rene Lalique Consulting or looking for an R Lalique Appraisal; the emails and the reasons for them run the gamut of just about anything you can imagine to do with the great Rene Lalique. We thought we’d publish one of our many email exchanges from this week to give you a glimpse of some of the goings on here at the desert hub of worldwide RLalique activity. From this email exchange, you might think we have WAY too much free time, but nothing could be further from the truth! We’ve made minor edits to remove the identity of the RLalique.com Enthusiast, and to add photos and links for the benefit our RLalique.com Blog readers. Hi RLalique.com Enthusiast. 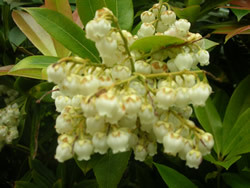 Thanks for contacting us and for visiting our website. 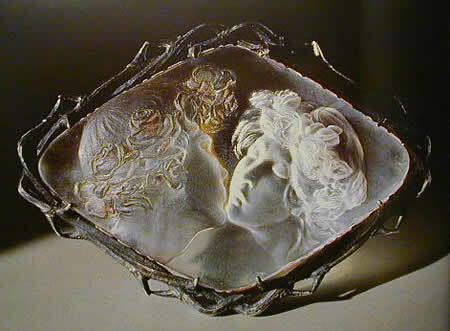 The brooch “Le Baiser”. This seems like a tough question. But, we have the answer!!!!! 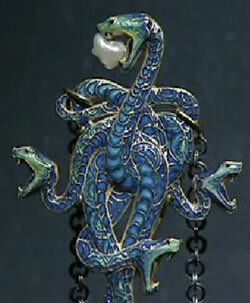 The brooch you are asking about is owned by the Musée des Arts décoratifs in Paris… having been donated to them in 1960. It was lent by them in 1998 to the 3 city exhibition “The Jewels of Lalique” that was in NY at the Cooper-Hewitt, and in DC at the Smithsonian, and then in Dallas the last couple months of 1998 ending on January 10th, 1999 which is where you saw it. 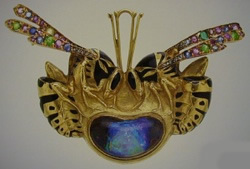 The brooch also was in Japan in 2000-2001 at a huge exhibition of RLalique held there at 3 locations including in Tokyo at the Tokyo Metropolitan Teien Art Museum that we talked about in the Blog a couple months ago… which is the former residence of Prince Asaka and which contains the great Lalique Doors! AND, most importantly, it appears in the book Lalique Par Lalique, the smaller early edition from 1977/1983, where they discuss the inscription that is enameled on the edge! “Je reve aux baisers qui demeurent toujours” ….. I dream of kisses eternal! Or ….. I dream of kisses which last forever! 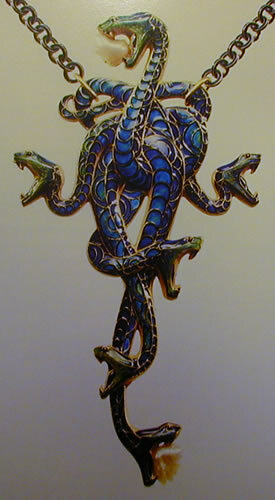 This brooch was donated to the Musee des Arts Decoratifs in 1960 by a son of Rene Lalique named Rene Le Mesnil. 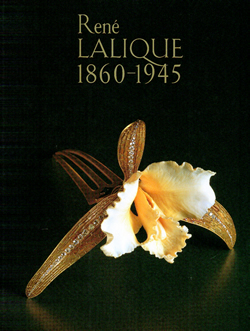 You can read about it in the Lalique Jewelry section of the Lalique Biography here on the website. 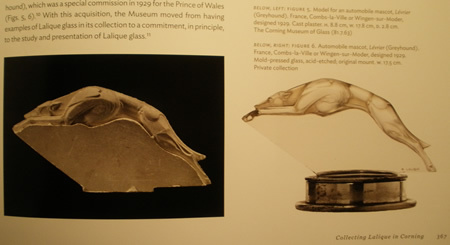 And of course, the Lalique Exhibition Catalogues for the exhibitions mentioned in our reply and shown in photos here are obviously available in the Rene Lalique Books and Library section here on the website. 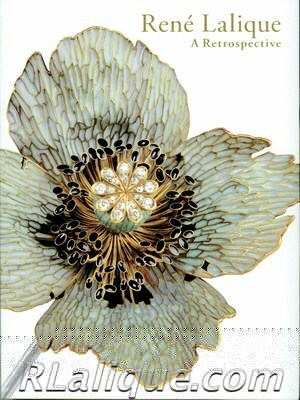 They will be found in what is by far the largest selection of Lalique Exhibition Books and Catalogues for sale anywhere in the world. 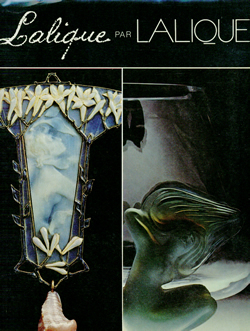 The Lalique Par Lalique book mentioned in our email reply is also in the Library in the section on Modern Lalique Books, where similarly, you will find it among what is by far world’s largest selection of post war books on Rene Lalique and his works. 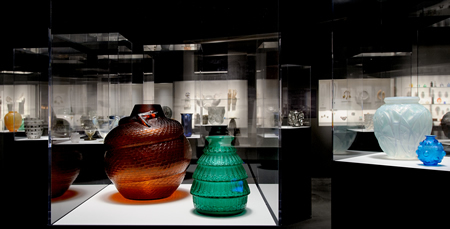 And don’t forget when you are traveling, to check out our extensive list of Lalique Museum Collections around the world. 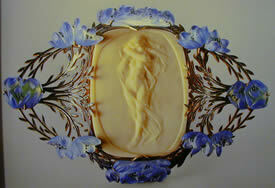 Wherever you go, you won’t be far from some great R Lalique items. Now here is the reply (verbatim) from the RLalique.com Enthusiast! You guys are my HERO!!!!!!!! ..I would give you a hug!!!!!! So here’s a cyber HUG !!!! Hmmmm, we never got a cyber hug before! But it’s greatly appreciated! 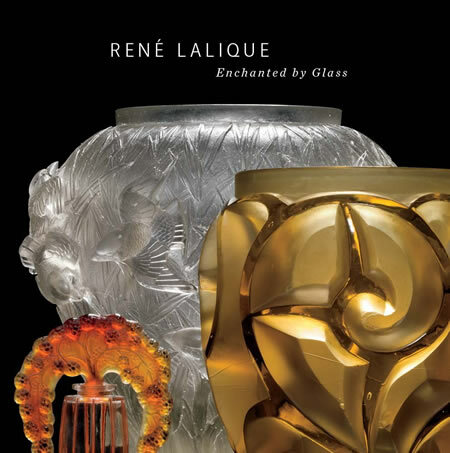 And now you know, not just a little more about Rene Lalique, you also know that the Testimonial Page here at RLalique.com likely contains just a small sampling of the great responses and reactions we’ve had from our global readership to the concept of our website! Nous rêvons aux étreintes qui demeurent toujours” ….. We dream of hugs eternal! Lalique, Faberge and Tiffany Exhibition Catalog Essay by Stephen Harrison is awarded the 2008 Smith Award for the most distinguished article in decorative arts in 2008: Stephen Harrison, curator of the Lalique, Faberge, and Tiffany Exhibition Artistic Luxury, was one of two recipients for the year 2008 to receive the Smith Award for most distinguished decorative arts articles. The essay, which appeared in the catalogue of the exhbition, was entitled: Artistic Luxury in the Belle Époque. 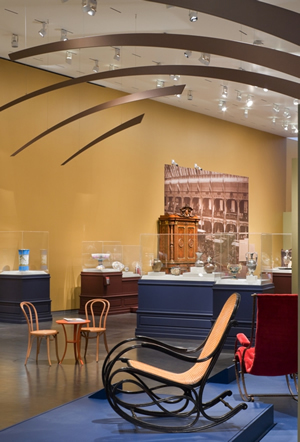 Stephen Harrison is the Curator of Decorative Arts and Design at the Cleveland Museum of Art, and was the organizer and driving force behind this great exhibition, which is now at the Legion of Honor Museum in San Francisco thru May 31st! 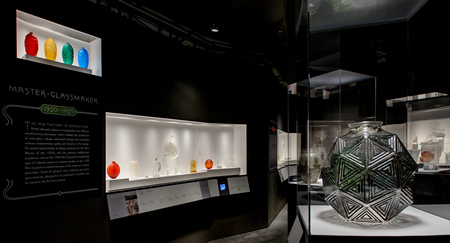 See our previous post on this Great Exhibit of Lalique (and some other stuff :). The Smith Award, honors the career of Doctor Robert Smith, who was a professor and noted art historian at the University of Pennsylvania, a place not unfamiliar to this writer, though there was not much art talk at the Wharton School :). Industry awards, such as the Smith Award, serve to focus the trade, collectors, museums, and the media on particular segments of the decorative arts field. Having one such award go to a Lalique related essay, is a wonderful thing for publicizing the works of the great Rene Lalique. 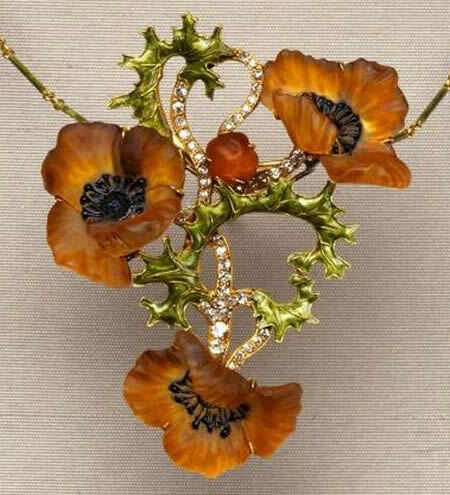 By the way, it’s not hard to imagine how Mr. Harrison was inspired, looking at the unbelievable glass, enamel and gold poppy pendant necklace shown here, which was lent to the exhibition by the Toledo Museum of Art. 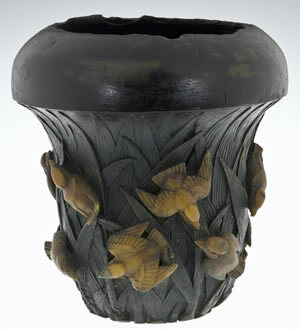 For more information about the award and the Decorative Arts Society, you can visit their website. 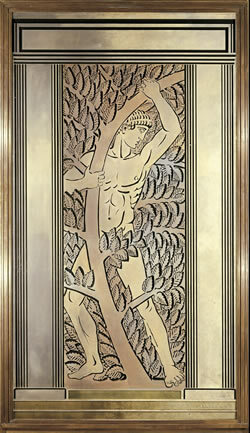 Rene Lalique Exhibition Opens at Montgomery Gallery in San Francisco Featuring 20 Original Rene Lalique Drawings! The Luxury of Rene Lalique: Unique Drawings and Objects: 1900-1930, is the title of a wonderful selling exhibition of the works of the great Rene Lalique being held at San Francisco’s world renowned Montgomery Gallery to coincide with the major exhibition of the works of Lalique, Faberge and Tiffany at San Francisco’s Legion of Honor Museum (see previous post for details). The exhibition represents the largest assemblage of original Rene Lalique drawings ever shown together in the United States. In addition, there are wonderful glass objects including an Amber Suzanne Statue, and both Suzanne and Thais Statues in opalescent glass. 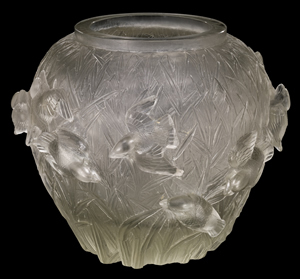 The Montgomery Gallery has a great international reputation and is an extremely high quality place to showcase Lalique’s works. Additional information is available on the gallery website, by calling the gallery at 415-788-8300, or by email at info@montgomerygallery.com. The exhibition is now open and runs through March 28th. 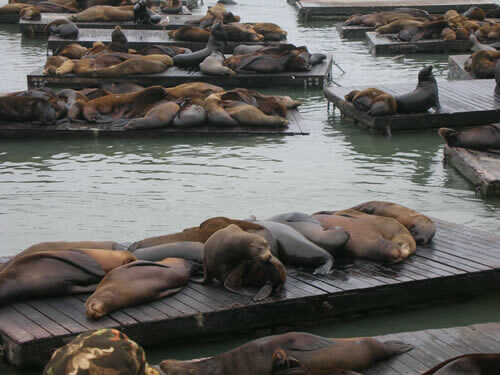 It adds yet another reason to visit San Francisco this Spring (so says the Oracle)!